The Lake Photo Cover Album, by DigiLabs Pro, is the perfect combination of affordability and beauty. The Lake Album is a unique hard photo cover book that is ideal for those seeking a beautiful album but wants to remain budget-conscious. This is the perfect option for a parent album, a graduation album, a baby album, a simple wedding album or to commemorate any special lifetime event. The Lake Album is clean and simple and is a wonderful photo album for those looking for a basic, yet beautiful, keepsake. The Lake album is available in three sizes (8×8, 10×10 and 12×12) and your client can choose from 20 to 80 sides to display their memories. Their favorite photos are displayed on the hard, wraparound photo cover and is fully customizable based on the emphasis they want to put on each photo. The photo cover comes in matte or glossy, both excellent options to showcase your favorite image. Each page is printed with silver halide to ensure crisp, clear images on professional photographic paper to create thin, seamless, full panoramic pages. Designing and creating your client’s Lake album is simple with our free and easy-to-use design software. Create your own album template effortlessly by using the innovative tool’s drag-and-drop feature, or use one of our many stunning premade templates. Please remind your client to take care of their beautiful new photo album by keeping the album between 55°-95°F and 5%-60% humidity, and by not exposing it to extreme changes in either temperature or humidity. Do not store in direct sunlight and do not use fingernails to turn the pages as this could potentially damage the book. Dust as needed with a soft, dry cloth and use a damp cloth to remove dirt when needed, being careful not to rub near imprinting. Store the book flat when not in use. The Lake album is a fantastic album for clients looking for a basic and durable, yet beautiful and elegant way to display their memories. It is truly the best when it comes to price and quality and the value of preserving your client’s memories in an affordable and stunning album is unbeatable. This entry was posted in Photo Albums and tagged affordable photo album, affordable wedding album, lake album, photo cover album on June 18, 2014 by digilabsprowp. The DigiLabs Pro Anza Leather Flush Mount Album is a stunning, attractively priced flush mount photo album. This professional-quality leather album is handcrafted with thick, sturdy lay-flat pages. The Anza album is the perfect choice for those seeking a gorgeous keepsake made from only the highest quality materials, but at an affordable price. Suitable for special lifetime events of all types, including wedding albums, family albums, bar/bat mitzvahs, quinceaneras and baby albums. The Anza album is available as a 10×10 flush mount photo album with a one-piece black leather cover, making it the ideal option for those looking for the gold standard in affordable wedding albums. Based on how many photos you would like to include, select either 20 or 30 sides of lay-flat pages. 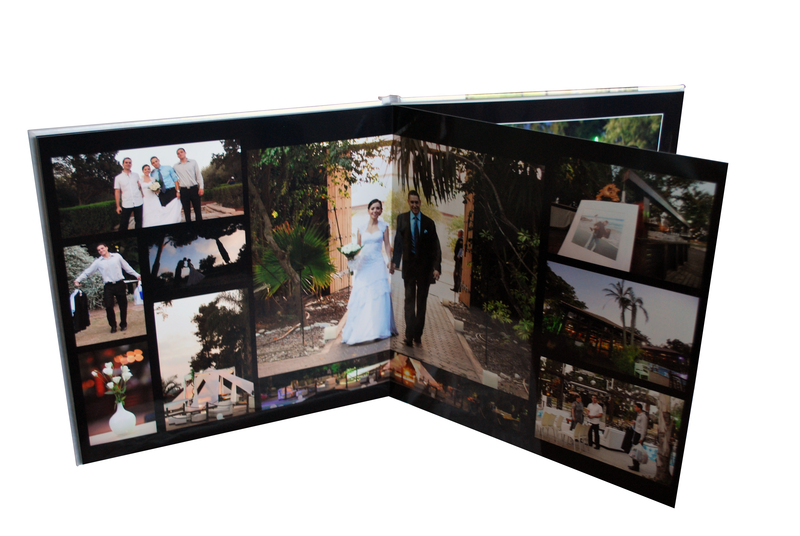 Choose from either Lustre or Pearl paper to beautifully display your client’s photos. Lustre pages show vivid colors and bright whites in a crisp, non-glossy image. Pearl paper has a glossy, pearl-like appearance and show deep, rich colors. Designing your client’s Anza album is a snap with our free and intuitive design software. This easy-to-use tool features drag-and-drop technology that enables you to easily design and create your own album template. Don’t want to create your own template? Use one of our many beautiful premade templates to create your client’s album in minutes. Inform your client to take precautions to preserve their gorgeous photo album. Keep the album between 55°-95°F and 5%-60% humidity, and do not expose it to extreme changes in either temperature or humidity. Do not store in direct sunlight and do not use fingernails to turn pages as this could damage the pages. Dust as needed with a soft, dry cloth and use a damp cloth when necessary to remove dirt, being mindful not to rub near imprinting. Store the book flat when not in use. The Anza album is the perfect photo album for the cost-conscious client seeking the quality and luxury of a premium leather album without breaking the bank. This stunning album is guaranteed to satisfy any client who wants a high-quality, beautiful album at a wallet-friendly price. This entry was posted in Photo Albums and tagged Anza album, flush mount album, Leather Album, Wedding Album on May 21, 2014 by digilabsprowp. The DigiLabs Pro Marina Flush Mount Album is truly one of a kind. 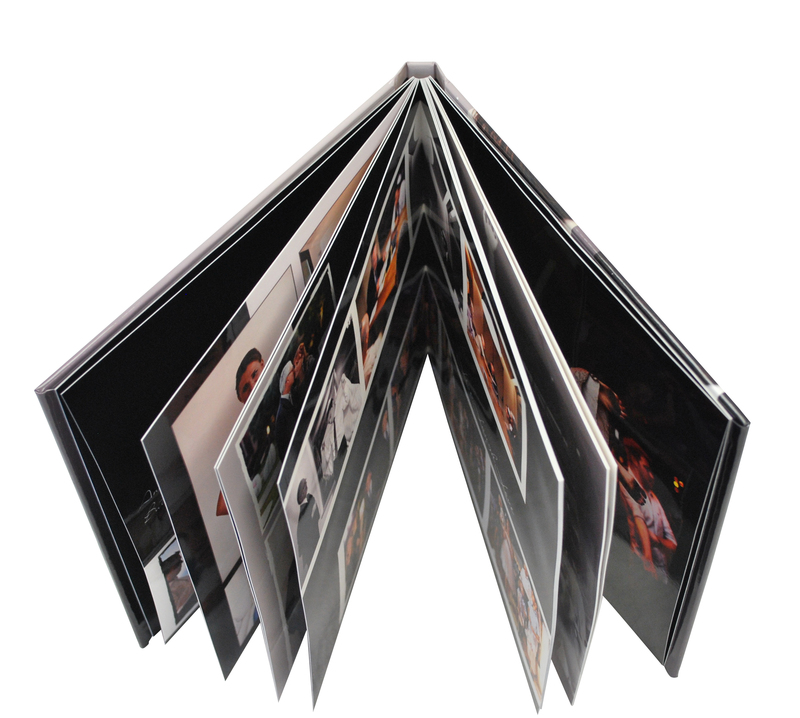 It is our top of the line photo album that is the epitome of sophistication and elegance. The Marina album features handcrafted binding, true lay-flat pages and flush mounted photos on thick, sturdy pages guaranteed to last for generations. This stunning, professional-quality album is versatile enough to serve as a baby album, family album, wedding album, bar/bat mitzvah album or any special lifetime event album. The level of quality and durability in our Marina photo album is unparalleled by any other. The Marina album comes in four different sizes: 10×10, 12×12, 11×14 and 14×11. Depending on how many memories you wish to include, you can choose from 20 to 80 sides of either Lustre or Pearl paper. Pro Lustre paper exudes vivid colors, bright whites and crisp images in a semi-matte finish. Pearl paper is glossy and has a pearl-like appearance, creating deep, rich colors. We offer fifteen different cover options in a variety of types and colors to suit your preferences, including twelve different patterns and colors of premium leather, printed leather covers, matte or glossy photo covers and metal covers. All of our Marina album covers can be engraved, making your client’s album even more personal. Designing your client’s Marina album is simple with our free DigiLabs Pro album design software. The intuitive drag-and-drop feature allows you to easily design and create your own album template, or use one of our beautiful premade templates to make your client’s album in mere minutes. It is important to inform your client to take measures in regards to preserving their beautiful album. Do not expose the album to extreme changes in temperature or humidity, and keep it between 55°-95°F and 5%-60% humidity. Do not store in direct sunlight and do not use your fingernails to turn the pages as this may damage the edges. Store the book flat when not in use, and dust as needed with a soft, dry cloth. You may use a damp cloth when necessary to remove dirt, but be sure not to rub near imprinting. The Marina album is the ideal way to preserve your client’s cherished memories: in a luxurious, beautiful, high-end photo album. It is the perfect example of receiving the quality for which you pay; it is handcrafted and the materials used are clearly of the highest standard. If you are looking for the absolute best in photo albums, look no further – the Marina album is the one that will make your professional photography shine. This entry was posted in Photo Albums and tagged flush mount album, Marina album, Wedding Album on May 14, 2014 by digilabsprowp. Our Lake album is the newest product on the market that replaces the conventional Photobook offered by most labs and Photobook companies. The advancements of this product provide a look and feel similar to that of an album, yet priced closer to that of a Photoboook. What are some of its key features? Manual color correction- Each image in the Lake album is manually color corrected to ensure max quality in details and color. This one is pretty self-explanatory. Professional photo paper – The Lake Album is printed on professional photo paper which ensures durability and longevity, while the average digitally printed Photobook is printed on thin, easily torn, paper that can potentially scratch and deteriorate over time. Professional photo paper (like that of which is used in our Lake Album) has the quality and credibility that can ensure your images last a lifetime. DigiLabs specializes in personal photographic products for when quality matters. 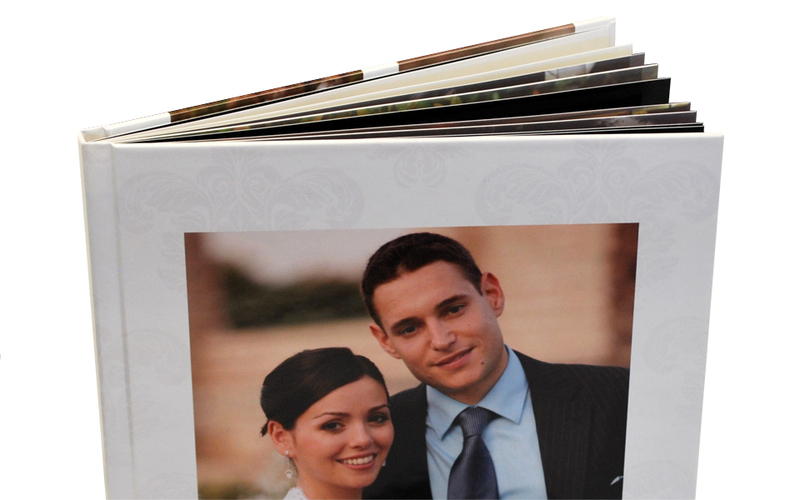 The Lake album is a cost effective solution that easily outdoes any other Photobook presently available on the market. It is suitable for any special event ranging from Weddings, Quinceaneras, Anniversaries, Baby Showers, Birthdays, Bar/Bat Mitzvah and art portfolios. The Lake Album provides quality like that of a designer product portfolio, with the cost efficiency of a DIY Photobook. How much does the Lake Album cost? This entry was posted in Photo Albums and tagged lay flat album, photo book, silver halide, two page spread on July 15, 2013 by digilabsprowp. This entry was posted in Photo Albums and tagged Photo Album, Professional Photographer, Wedding Album on February 22, 2012 by DigiLabs Pro Blogger.